The credit card might seem like our best friend in such times. So how about using a credit card that rewards you for shopping; yes here are few credit cards that can make shopping more fun. Celebrations in India happen throughout the year. However as we approach the third quarter we know that we will be celebrating one festival after another. Celebrations and festivals are synonyms with shopping whether it is for refurnishing the home, gifting loved ones or indulging oneself. The credit card might seem like our best friend in such times. So how about using a credit card that rewards you for shopping; yes here are few credit cards that can make shopping more fun. Let us begin with a card that is specially designed for women; the HDFC Solitaire Credit Card. This card is designed to offer great deals and rewards for shopping. The joining fee is Rs. 500 and from second year onwards it’s waived off. Spending up to Rs. 75,000 in six months entitles you to Shopper’s stop vouchers of Rs. 1000. Three reward points are earned for every Rs. 150 spent; the user has an option of converting the reward points to cash at the rate of Rs. 40 per 100 points. The card holder earns 50% more reward points when swiping for dining and groceries. The customers get vouchers of Rs. 2000 per year and the card also has a zero liability feature in case the card is lost and the customer reports it. This card has a joining and annual fee of Rs 2999 which might seem like a dampener but this is compensated by a Rs. 3000 E-gift voucher that can be redeemed at Jabong, Shoppers Stop or certain other outlets. For transactions between Rs. 500 and Rs. 4000 the user gets a fuel surcharge waiver of 2.5%. There are no charges for paying utility bills using the card. The user earns 2 reward points for every Rs. 100 spent. These rewards are five times when the card is used internationally, or for dining or grocery shopping. When the total spending on the card is more than Rs. 500,000 then the customer is eligible for a free (one side) domestic ticket. This card from American Express is a card that offers an attractive reward structure hence is a good choice for shopping. Customer gets a welcome voucher of Rs. 3000 at the time of joining. The rewards can be redeemed at a large number of stores or one can earn discount at the partner stores. Some of the partners are Amazon, Snapdeal, Makemytrip, Bigbazaar, Pantaloons etc. You earn payback points for each transaction; for every Rs. 100 the customer earn 3 points except on fuel, insurance or utilities payments. 3% payback is available on fuel charges and surcharge waiver at HPCL petrol stations. On spending Rs. 15,000 in first 60 days the card holder earns extra 900 Payback points. The annual fee of Rs. 750 can be waived of if the first year spending exceeds Rs. 150,000. This is another card that offers great rewards for people who love to shop. The card holder is welcomed with vouchers of Rs. 500 from Jabong and Rs. 200 from Bookmyshow.com. Customer is eligible for a 10% discount when the card is used for used at Myntra for minimum Rs. 500, on Bookmyshow.com subject to Rs 50 monthly and for reservations made on Redbus. Twp reward points are earned for every Rs 200 spent. The joining fee for this card is Rs. 250 which can be waived of if the card holder spends Rs. 2500 within 45 days. This is a card this has one of the most generous reward structure which makes it ideal for using is for shopping. There is no joining fee or annual fee applicable for this card. For every Rs 150 spent on dining, telecom, hotels category in the first 12 months the card holder earns 6 reward points. For other categories the customer earns 2 reward points for every Rs. 150 spent. If the spending exceeds Rs. 400,000 in a year then the reward points earned are 10 per Rs. 150. For all expenditure (subject to a minimum of Rs. 10,000) made in first 90 days the customer gets a 10% cash back. This is valid from 1/1/16 to 31/12/16 and is subject maximum of Rs. 3000 per card. Let the festivities begin, celebrate with your loved ones and make the best of your shopping with these cards. 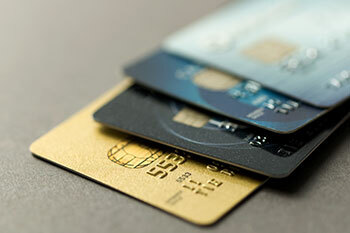 However credit cards must always be used with responsibility and care.